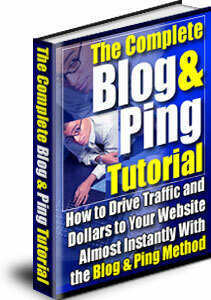 THE COMPLETE BLOG AND PING TUTORIAL. AVAILABLE THIS E-BOOK JUST ONE DOLLAR ONLY. THIS IS LIMITED TIME OFFER ONLY.